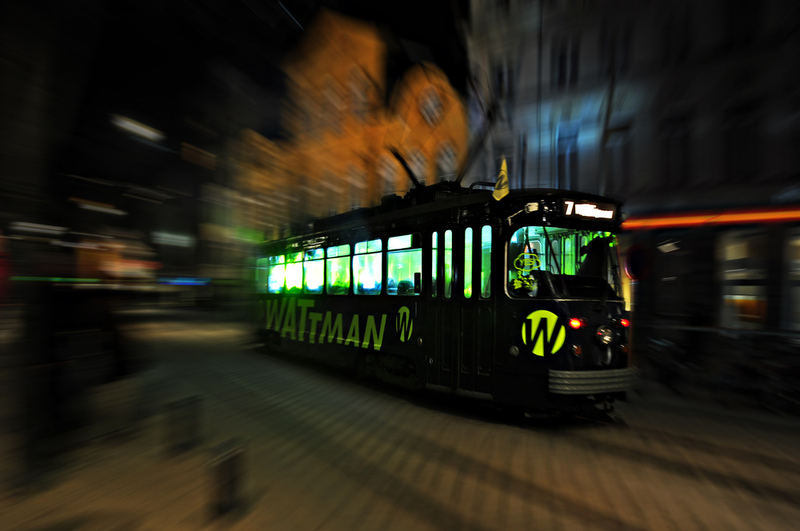 The ‘WATTMAN’ is one of the synonyms in Dutch for ‘tramdriver’. 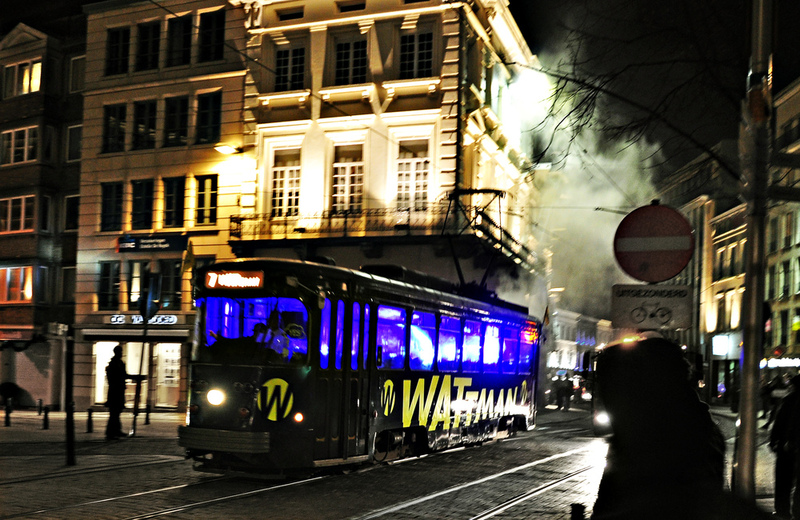 Trams are a very familiar sight in Ghent, it’s one of the most popular ways of transport in the city. 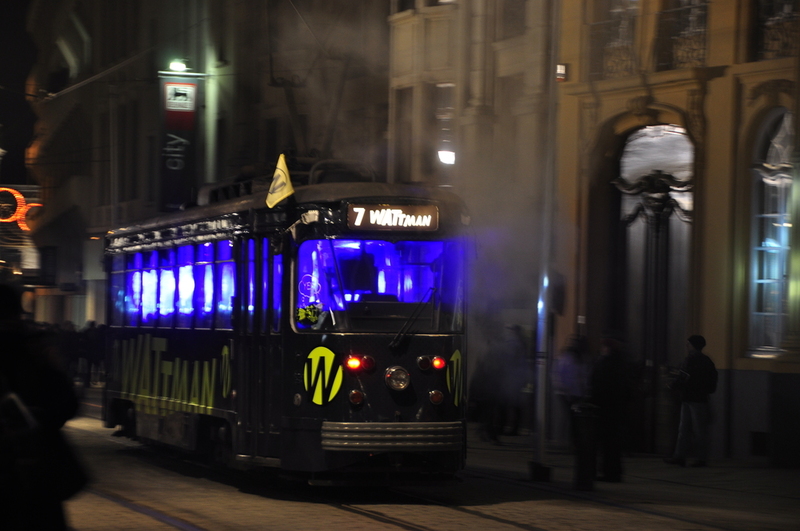 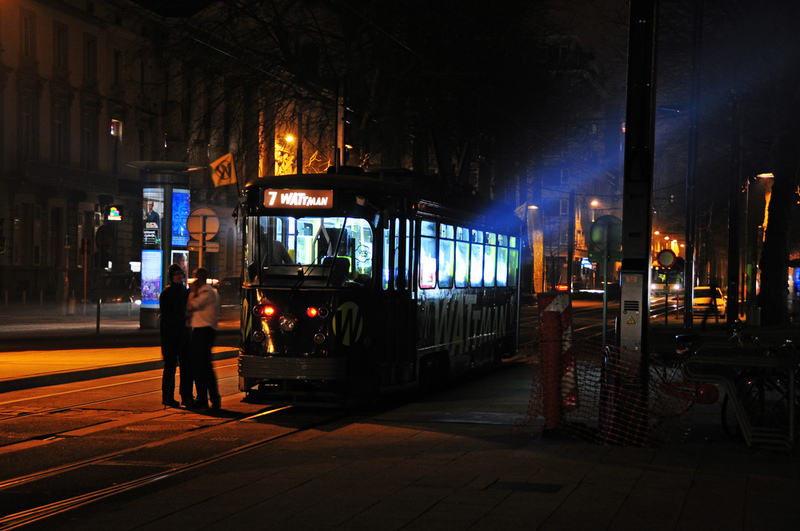 The tram and its mysterious driver can be seen and heard everywhere in the city, because of the very brightly lit interior.